What Do You Think A Peaceful Divorce Looks Like? I think a peaceful divorce looks like one where the parties allow themselves to feel their feelings while learning how to express them in a constructive way, and where they create a vision of what they want their future to look like, and focus on that. What you focus on expands! Recognize that you are creating your life, including your divorce! Once you have that awareness, it becomes much easier to create a peaceful one. 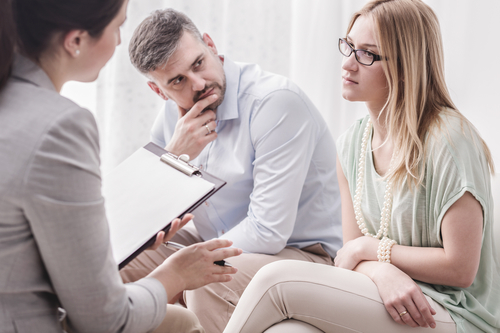 As a divorce attorney who has litigated cases and settled cases, a peaceful divorce to me is one where the parties are able to resolve conflicts in a pro-active and positive manner. Traditionally, it is the Judge and the lawyers who decide/resolve the divorce. In a peaceful divorce, the couple fashions their own divorce. 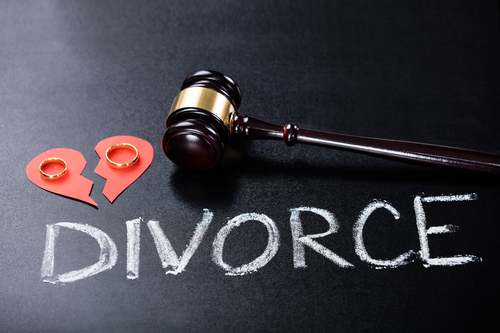 The couple is actively involved in working towards a resolution that they both can live with after the divorce. In doing so, they are better able to move on with their lives in a healthier manner. This is critical especially in cases where the couple must co-parent after the divorce. Peaceful divorce is the only sane way to divorce. I have been saying Peaceful Divorce - An Idea Whose Time Has Come for many years now and have always thought the coolest vision is when couples have remarried and the 4 adults go out to dinner together, go on vacations together and the loving family just expands for the kids. I heard of a family like this and the kids were very happy they were not caught in the middle of a nasty fight. The flip side is my own sister in law whose mother in law didn't come to her wedding because the groom's dad (her ex) would be there. If you had such a nasty divorce that you can't go to your own son's wedding, something is wrong somewhere. Too often the divorce lawyers, how have a stake in keeping the fighting going, are to blame for throwing gasoline on the fire. As the author of How Do I Tell the Kids about the Divorce? A Create-a-Storybook Guide to Preparing Your Children -- with Love!, my concept of a peaceful divorce always centers around children who are happily going about their lives as children, despite the divorce! If your children can continue with their routines, school work and activities, etc. without discord, anxiety, guilt, resentment, anger or other damaging emotions, then the parents have put in the forethought and energy to create a Peaceful Divorce. While it isn't always the easiest route, it's certainly the wisest and most satisfying route in the long-term. If only we can help parents to look ahead to what their children will say to them about the divorce when they become adults. With that perspective I believe parents would be more willing to put more peace, collaboration, harmony and wisdom into their divorce decisions. 2. Lower your expectations of each other, after all, if your spouse didn't do certain things WHILE you were married don't expect it now. You will only be dissapointed and frustrated. 3. Remember, once upon a time you loved this person. What was it you loved? Especially when there are children involved, let whatever you loved the most be your mantra when speaking of your spouse. No exceptions to this rule, as children have big ears. As my mother would say, if you don't have anything nice to say, don't say anything at all! 4. Don't let the lawyers create unnecessary hostility. You are the one who controls the process. How you handle your divorce and treat your spouse and children will have long lasting ramifications. Do you want to sit on the same side of the room when your child gets married? 9. Choose your battles, there will be disagreements, just as if you were still together. Talk them out and realize communication is important even though you are not together anymore, maybe more so. My view of Peaceful Divorce is a business model. 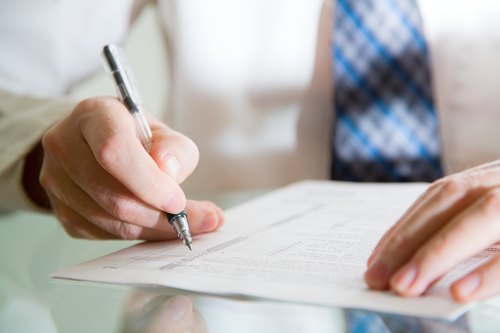 Parents are the partners (or corporate shareholders) in a business entity called a marriage. During the marriage they create “products or assets” – their children. When they divorce, it is like the dissolution of a business – the parents need to work out business details and move on with their lives, yet they share a lifelong interest in the continuing growth and success of their “products or assets” -- their children. Peaceful Divorce means keeping grownup stuff (financial, educational, legal and other adult decision-making matters) separate from children, who deserve the opportunity to be children, and develop relationships with each of their parents. What does that look like? It is snapshots in time. It is parents making sure that their children spend time with their other parent. If it is one parent’s turn to pick up the children and they have car trouble, the other parent will drive the children without fussing about it. If a child left something they need for school at one parent’s house, the other will go out of their way to make sure the child has it (and not discuss it with the child). 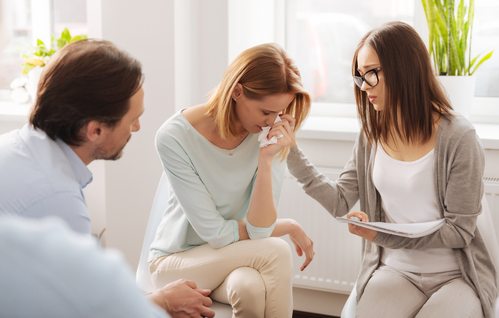 Peaceful Divorce looks like parents sitting together at a sports event, or recital, or graduation, so their child doesn’t have that “icky” feeling of being torn between them. Down the road, it looks like a child inviting both parents (and their new spouses) to the child’s wedding. Peaceful Divorce gives parents and children the ability to grow through a multitude of challenges as they live the lives of a divorced, blended, and extended family. Well said, Cynthia. An interesting metaphor especially for those who more easily relate to life in business terms. Having moved through years of co-parenting in a peaceful divorce I can relate to your examples and recall so many incidents where our choices determined the outcome for our son -- ease or stress regarding his parents. On Memorial Day my son will be getting married and his Dad and I will both be there, with our spouses, sharing the joys of that wonderful day with each other's families and acknowledging one another for doing a great job in raising our precious child. I would dread to think of imposing on my son and other dynamic so he can go ahead and enjoy his wedding day as fully and happily as possible. I think it’s important to note that even though a divorce may not begin in the “Peaceful Divorce” model, it’s never too late to start. Each of us has numerous opportunities every day to make decisions and to think before we act. Every choice we make has consequences. If a parent has ongoing battles with their child’s other parent about money, maybe it’s time to develop an accounting system, or begin a dialogue about financial issues. Maybe education is needed about the appropriateness of “parallel parenting” as well as “co-parenting” strategies. In my view, the first step is to stop. It’s difficult to have a battle if only one person is fighting. Do not engage in the “divorce war” any longer. There is a better way. What great answers to this critically important question! My vision is that we all put our heads together and get this out there in a big way! I've got some ideas...how about you?